From the increased use of augmented and virtual reality in the beauty industry to the growing space for luxury sports outerwear, the 2018 Global Powers of Luxury Goods Report throws the spotlight on some of the biggest trends in the industry today. The luxury industry is going through a period of great change. Fostered in part by the growing base of millennial consumers and exacerbated by the shift of wealth and spending patterns across the globe, brands are scrambling to adapt their marketing strategies and operations to match the demands of today’s luxury shoppers. A recently released study by Deloitte, the Global Powers of Luxury Goods Report 2018, delves into these issues and more. We pick out five interesting points from the study. According to the report, millennials and Generations Z-ers will account for more than 40 per cent of the luxury market by 2025. Their numbers currently make up about 30 per cent of the industry, but brands are already adapting their communications and sales strategies to their preferences. Besides their obvious preference for interacting with brands on digital platforms, millennial customers are also said to value experiences and authenticity above all else. The latter has prompted luxury labels to take the issue of sustainability seriously, building entire business models around the notion instead of simply adding it to a list of qualities to be checked off. 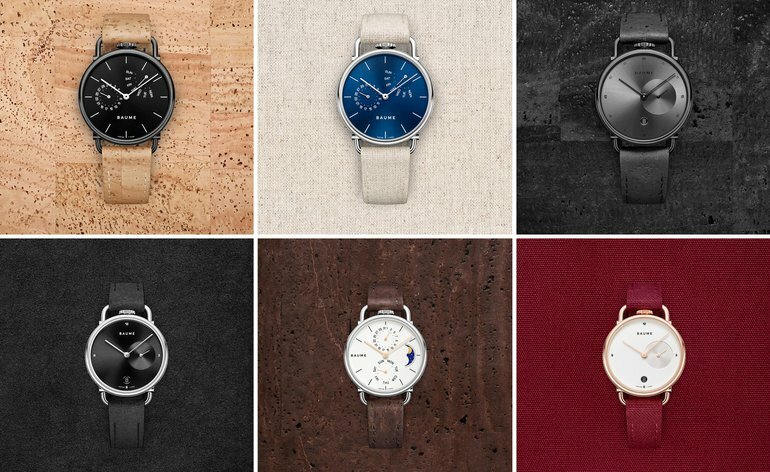 One such example is the Richemont Group’s latest watch brand Baume– an offshoot of Baume & Mercier – which focuses on customisation and sustainability. As luxury sales continue to be driven by experience-hungry millennials and Generation Z-ers, brands are increasingly looking towards integrating connective technologies such as augmented reality (AR), virtual reality (VR) and artificial intelligence in the sales ceremony. Late last year, LVMH launched a “virtual advisor” chatbot on Facebook Messenger for its US clients, and YOOX partnered with photography app Lumyer to come up with an AR camera app that allowed consumers to try on handbags, sunglasses and jewellery through virtual reality. This trend is, however, especially prevalent in the luxury beauty sector. 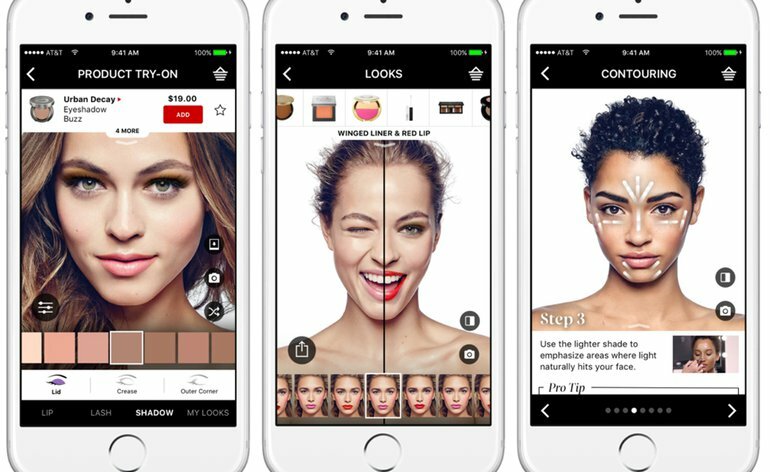 While beauty conglomerate Estée Lauder and cosmetics retailer Sephora invested in AR technology to help customers try on makeup more conveniently, L’Oréal recently acquired ModiFace, a leader in AR and AI applications used in the industry. The Sephora Virtual Artist application allows customers to try makeup on in the virtual world. While it may have been overlooked in the past, the space for luxury sports outerwear is expanding rapidly and shows no signs of slowing down yet. According to a separate study by Morgan Stanley, the value of the athletic-leisure clothing and footwear market is expected to reach $355 billion by 2021. Brands like Moncler have long been in the game, but Canada Goose has been steadily building up its fan base and is now the fastest growing luxury goods company in the world based on earnings recorded in FY2016 (defined as the financial years ending within the 12 months to 30 June 2017 for the purposes of this study). Known for its well-crafted jackets that come with a lifetime warranty, the brand displayed remarkable organic growth, with sales in the brand’s home market of Canada jumping by 63 per cent in FY2016. 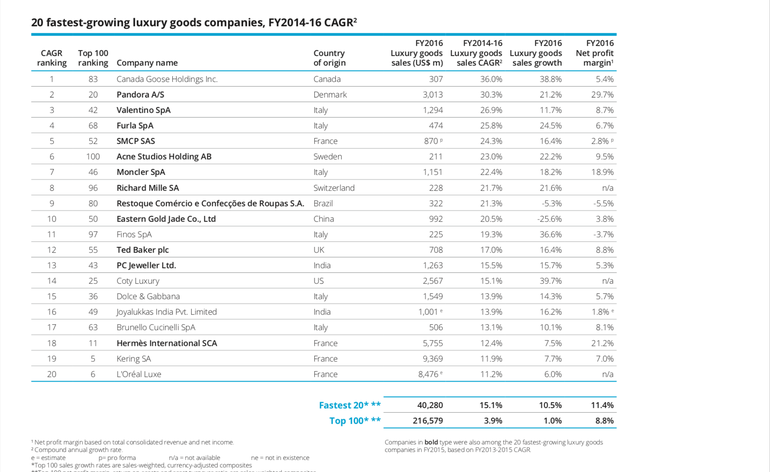 Still at the top of its game, LVMH has once again emerged as the leader in terms of personal luxury goods sales in FY 2016. As a group, it now holds 11 per cent of the total share of luxury good sales from the Top 100 brands. Within the group, sales of fashion and leather goods (which contribute to 60 per cent of the group’s total sales) were up by 3 per cent, bolstered by star brand Louis Vuitton. 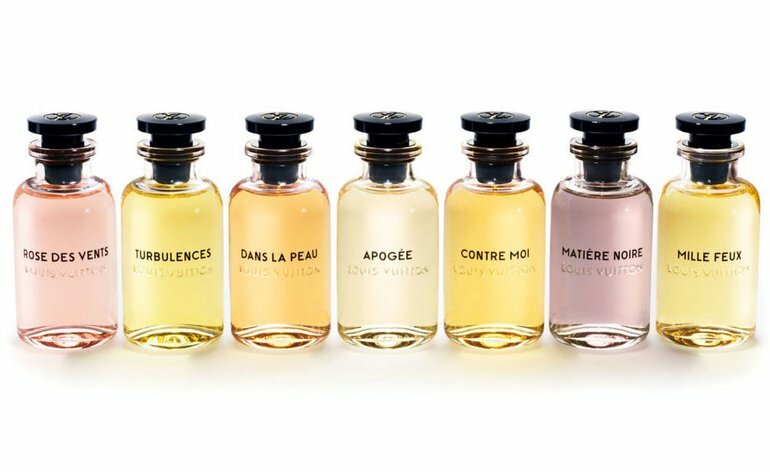 It should also be noted Louis Vuitton launched its fragrance range in FY 2016 to much success and that the perfumes and cosmetics sector in LVMH showed the strongest sales growth in that year. The makeup segment, in particular, saw a 10 per cent increase in sales –helped in part by the digital push for brands like Benefit and Make Up For Ever. Released in 2016, the fragrances were the first scents Louis Vuitton released in over 70 years. 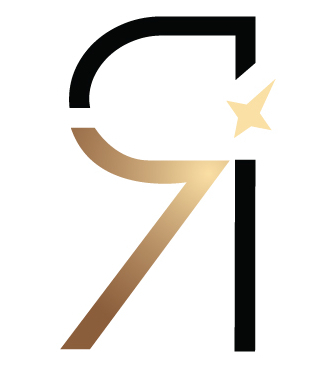 Overall, the fragrances and cosmetics segment emerged as the top-performing category in the luxury industry with a sales growth of 7.6 per cent. 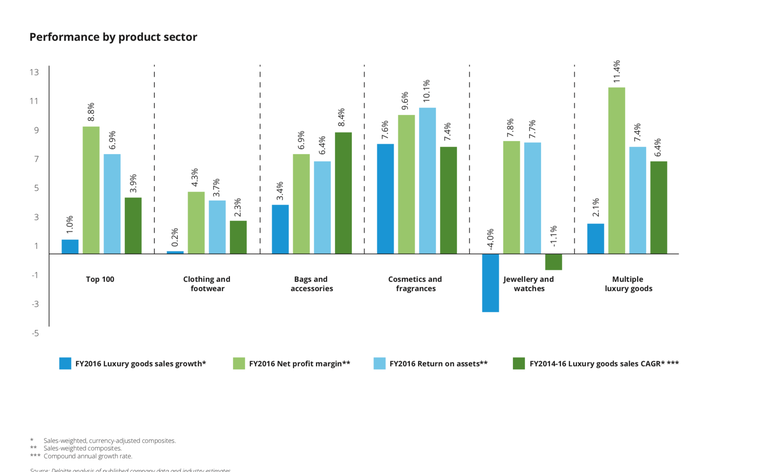 Every company in the sector reported growth in FY2016, with Coty Luxury being the fastest growing company in the industry. This was, of course, augmented by the group’s acquisition of the Procter & Gamble (P&G) beauty business. Within Coty, sales were said to be up 40 per cent – 33 per cent of which came from the P&G business.